It’s rather fitting, isn’t it, to see the ripple effect that comes from the littlest things we do to conserve water? On one hand, says Heather Anderson, public information officer for the Central Utah Water Conservancy District, you have the Provo Reservoir Canal Enclosure Project. In 2013, it saved 11,185 acre-feet of water. Put in layman’s terms, that added up to well over 3.6 billion gallons of water—no small feat! Then you have the simplest of lifestyle changes that make sure those momentous gains will last long enough to provide future generations with clean, usable water. 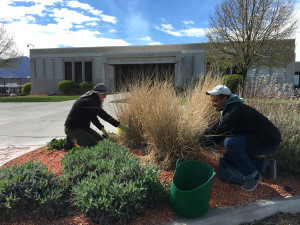 Speaking to the Utah League of Cities and Towns in early April, Anderson said the state of Utah has set a goal of reducing water use by at least 25 percent by the year 2025. Kitchens use 11 percent of total indoor water use. To cut back, always do full loads of dishes. Fill the sink to wash vegetables rather than holding them under running water. Moving onto the bathroom, the top consumer of indoor water use, turn off the water when brushing your teeth or shaving. Install low-flow shower heads and upgrade your toilet, saving more than half the gallons per flush. In the outdoors, where two-thirds of residential water use occurs, take advantage of free water checks, lawn-watering guides, water-wise plant tags and other programs that help you keep your water consumption in check. It pays to check your irrigation systems as well, looking for leaks or changing to drip tubing. If we all do our part, even in the smallest ways, it’s going to make a big difference down the road.